Surprise proposals can be some of the most magical moments you'll ever experience. A Las Vegas surprise proposal only adds to the magic. Are you looking to capture that special moment? Surprise engagements are one of the most emotional moments and Las Vegas offers an extensive list of locations so you can find that perfect place to pop the question. 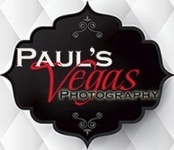 Paul's Vegas Photography can be there to preserve those memories for a lifetime. Whether you're doing a grand gesture or something more private, Paul's Vegas Photography can ensure your Las Vegas wedding proposal is a memory you and your loved one can revisit time and time again. Why take a chance? With Paul and Lisa, every second, from the preparation to the surprised and happy smiles will be captured and will only add to your Las Vegas proposal. From there, Paul and Lisa can ensure your wedding photography and video needs are met. They can help make your special day even more so. Your Las Vegas wedding experience will be taken to a new level and you can be confident that the photos taken will remind you of that feeling every time you look at them. Here are a few shots of a surprise proposal we did last week.